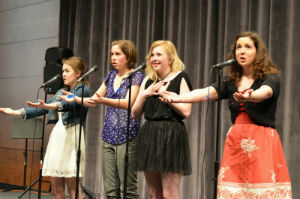 Louder Than a Bomb is Nebraska’s largest youth poetry festival. As a Nebraska Writers Collective initiative, this festival encourages a friendly competition that emphasizes self-expression and community via poetry, storytelling, and hip-hop spoken word. 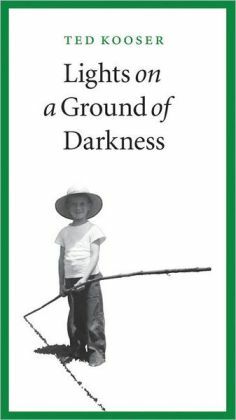 In the spirit of the Louder Than a Bomb finals this weekend, we’re GIVING AWAY a signed, limited edition of Ted Kooser’s Lights on a Ground of Darkness to one lucky winner! To enter the contest, leave a comment on this blog post in Haiku form telling us why you think it’s important for youth to be exposed to poetry or get involved with initiatives like Louder Than a Bomb. The winner will be notified via email, so it is important you leave a valid, active email address when leaving your comment. Good luck, and don’t forget to like our Facebook page to stay in-the-know on future events and giveaways! Contest starts at 9:00am Central Time on Thursday, April 18 and ends at 9:00am Central Time on Monday, April 22. Eligible entrants must be residents of Nebraska. There can be only one entry per person. Winner will be selected at random from a pool of eligible entries. Winner will be announced on Tuesday, April 23 and notified via the email address submitted with the comment, so entrants must leave a valid, active email address when leaving a comment. If the winner does not respond to communication from Nebraska Cultural Endowment within one week of being notified as the winner, a new winner may be selected. Prize will be distributed by snail mail within 30 days of announcing the winner. The Nebraska Cultural Endowment reserves the right to adjust the contest rules at any time. All federal, state, and local taxes associated with the receipt or use of any prize is solely the responsibility of the winner. shakes the room – KABOOM! Casting spells with woven words.